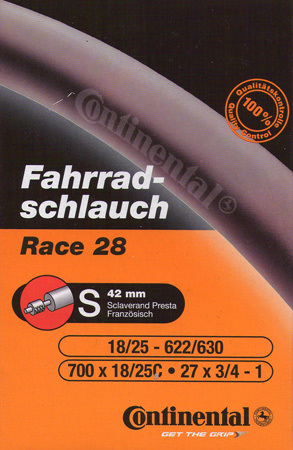 Butyl inner tube with 42, 60 or 80 mm Presta valve. Fits 700C 18 to 25 mm as well as 27'' 18 to 25 mm tyres. Make sure you order the longer valve for deep section rims!